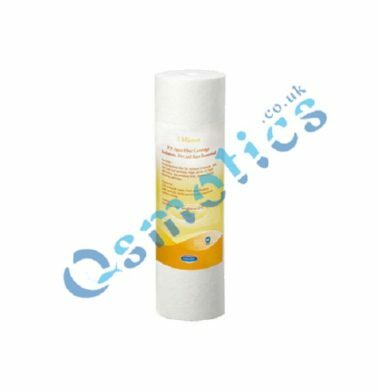 The Osmotics RO Silicate 10″ Filter Pod is designed to be used in tandem with your other RO Filters and Membranes to contribute to the removal of unwanted materials and organics within your tap water, to make it safe to use within your Aquarium. 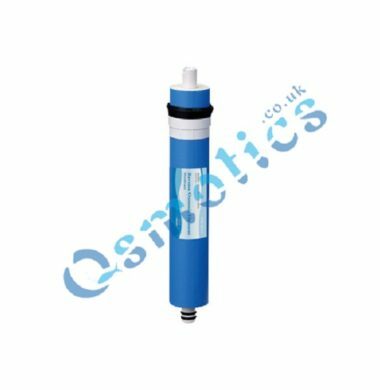 The Osmotics 50 GPD Membrane is designed to be used in conjunction with your RO System to increase the unit’s polishing potential. This ensures that your Tap Water is free of any unwanted organics or materials, and thus deems it safe to use in your Aquarium. 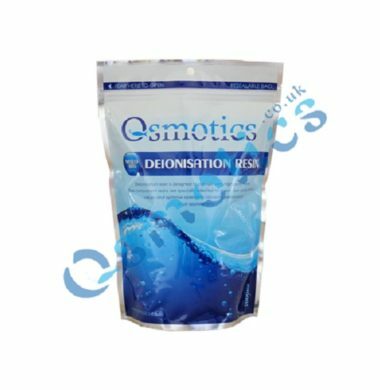 The Osmotics DI Resin 1 Litre Sachet is a Mixed Bed Resin that is designed to be used in De Ionisation Pods, in conjunction with your RO Unit. The DI Resin Contributes towards the removal of unwanted organics and materials in your Tap Water. 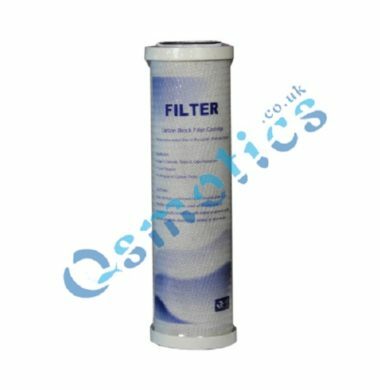 The Osmotics Carbon Filter Block is a high quality activated Carbon Block Filter that provides enhanced filtration of your Tap Water that has been previously unattainable. 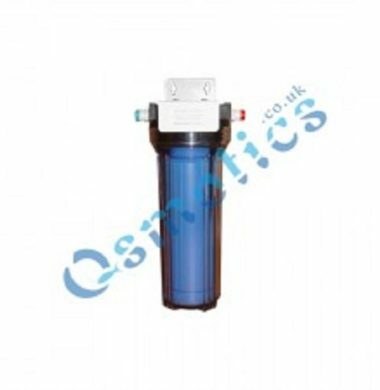 Manufactured from high purity acid-washed activated carbon, the Osmotics Carbon Filter Block particulate holding capacity and the absence of carbon fines makes it the filter of choice for RO Systems. 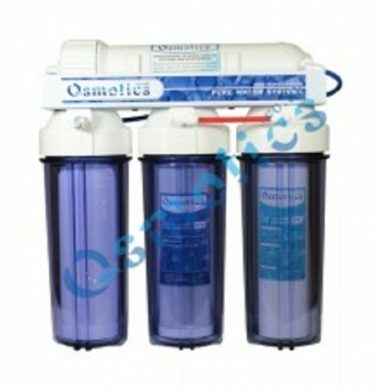 The Osmotics 50 GPD 4-Stage Ultra Pure RO Unit is A full size RO System with built-in Deionisation stage. 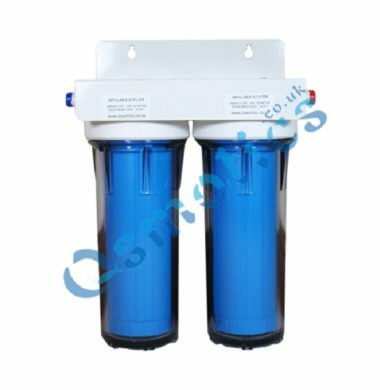 The 50 GPD 4-Stage Ultra Pure RO Unit is ideal for ensuring your Tap Water is free of unwanted organics and materials, in preparation for use with you Aquarium. The Osmotics 100 GPD 4-Stage Ultra Pure RO Unit is A full size RO System with built-in Deionisation stage. 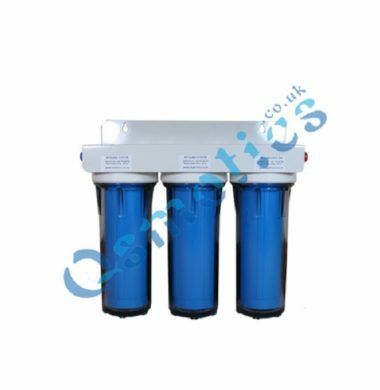 The 100 GPD 4-Stage Ultra Pure RO Unit is ideal for ensuring your Tap Water is free of unwanted organics and materials, in preparation for use with you Aquarium. 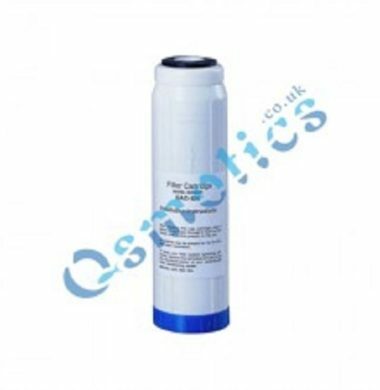 The Osmotics Single Stage De-Ionisation Pod is designed to be used in conjunction with your RO System to increase its effieicncy in producing high quality RO water for you Aquarium. The Single Stage De-Ionisation Pod comes pre-filled with Mixed-Bed De-Ionisation resin, allowing the Pod to to be installed with speed and ease. The Osmotics Double Stage De-Ionisation Pod is designed to be used in conjunction with your RO System to increase its effieicncy in producing high quality RO water for you Aquarium. The Double Stage De-Ionisation Pod comes pre-filled with Mixed-Bed De-Ionisation resin, allowing the Pod to to be installed with speed and ease. The Osmotics Triple Stage De-Ionisation Pod is designed to be used in conjunction with your RO System to increase its effieicncy in producing high quality RO water for you Aquarium. The Triple Stage De-Ionisation Pod comes pre-filled with Mixed-Bed De-Ionisation resin, allowing the Pod to to be installed with speed and ease.